Disclaimer Notice: I’ve received products/compensation from Eileen Hull Inspiration Team and Lynda Kanase. This project however, is 100% my own project! Some of the links in this post are affiliate links. I explain more HERE!. 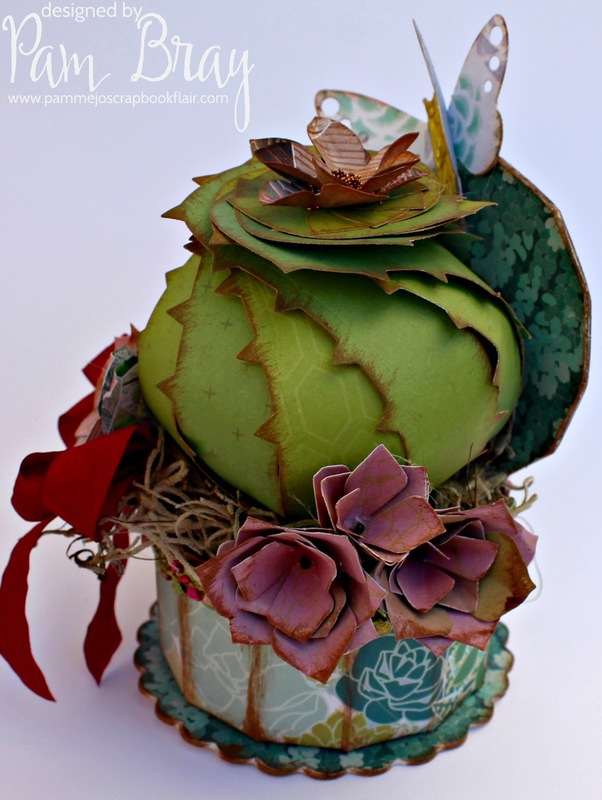 Do you ever wonder what happens when two of your favorite designers from Sizzix and their dies collide! Well, today I am sharing with you my Barrel Cactus Cookie Container project using Lynda Kanase newest Succulent Collection along with Eileen Hull's Cookie Box Die. through the Xyron Creative Station. Die cut Cookie Box using the Cookie Box Dies and Little Sizzles Mat Board. Form Cookie Box; ink edges with Nutmeg Ink. Hot glue moss to inside of Cookie Box. Die cut Barrel Cactus using pattern paper from the Succulent Serenity Cardstock Pad. Ink edges with Nutmeg ink; form barrel cactus. Glue to inside of prepared box. 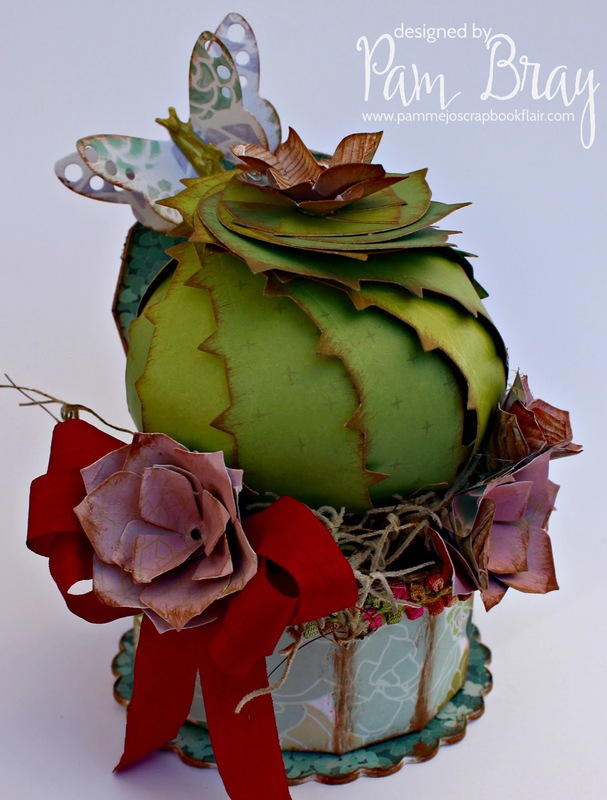 Die cut Succulent 2D & 3D and Paper Clippables from Succulent Serenity Cardstock Pad. Form cactus flowers, ink edges. Add micro beads to the centers. Glue to top of barrel cactus. Ink edges of butterflies; adhere at body. Adhere to top of box lid. Create a few more of the cactus flowers; adhere to the sides of the box. This is really awesome! TFS! swoon!!!! love love love it!